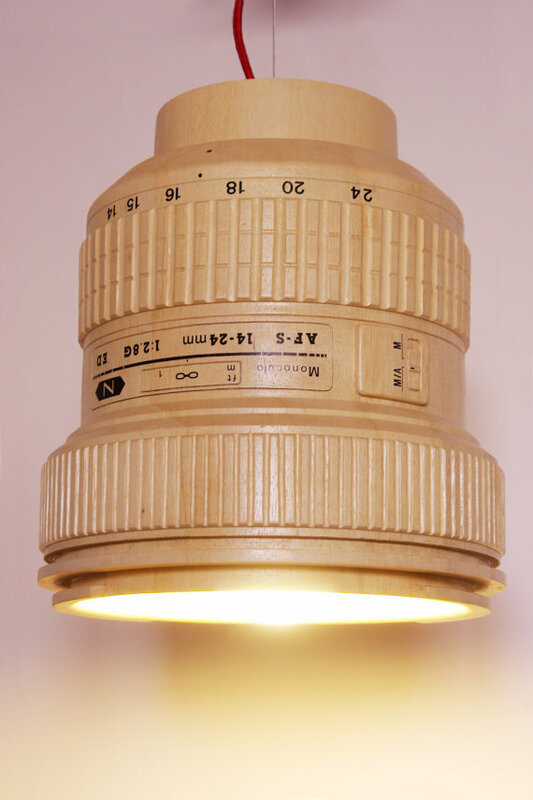 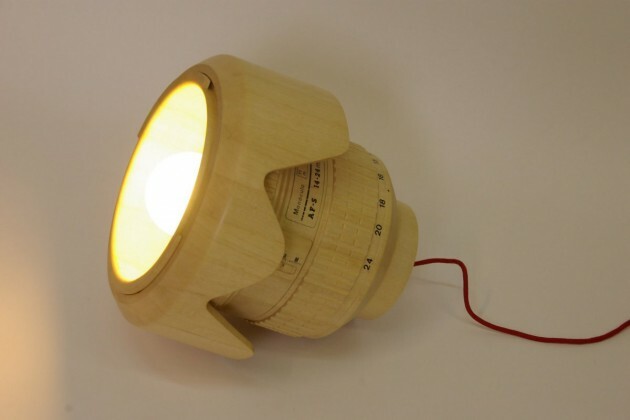 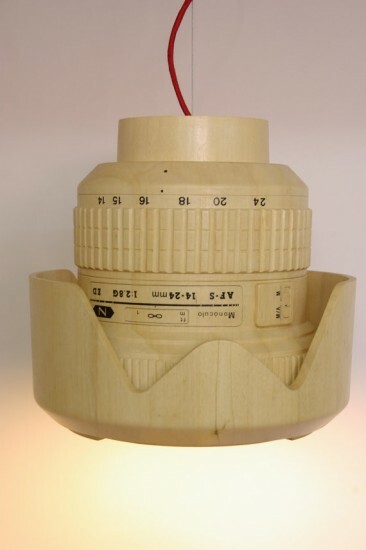 Mónoculo Design Studio presents this original lamp which is a replica of a reflex camera lens. 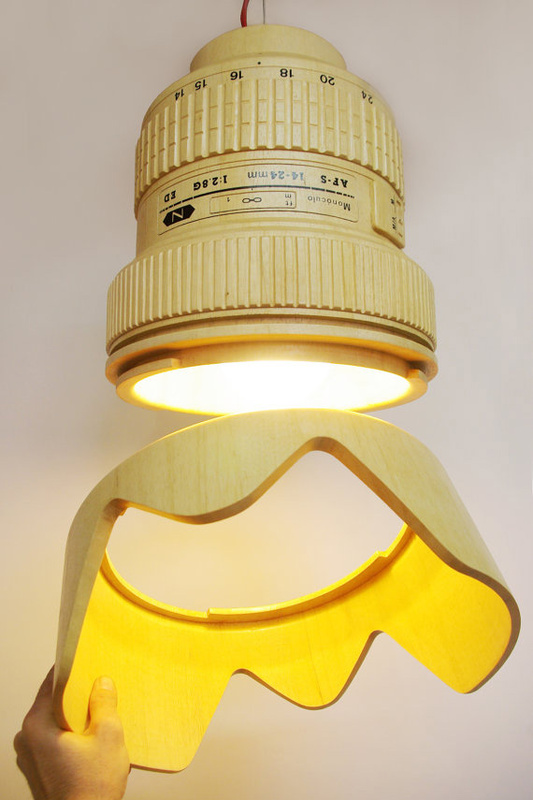 Carefully handmade with high quality materials and fine terminations, the lens hood can be reverse mounted or removed. 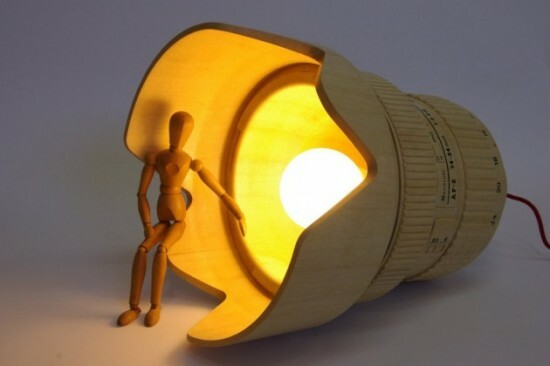 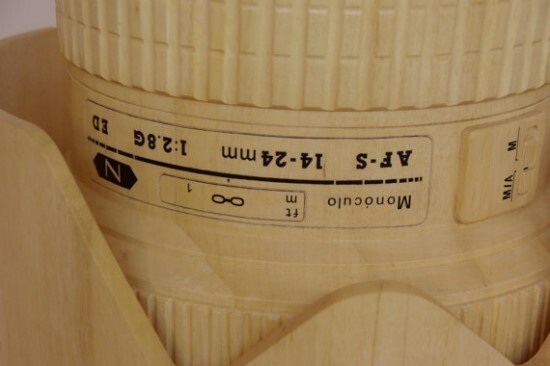 The lamp is made of white cedar wood and has a water-based varnish and beeswax finish on it. Additionally, its design is 100% eco-friendly. 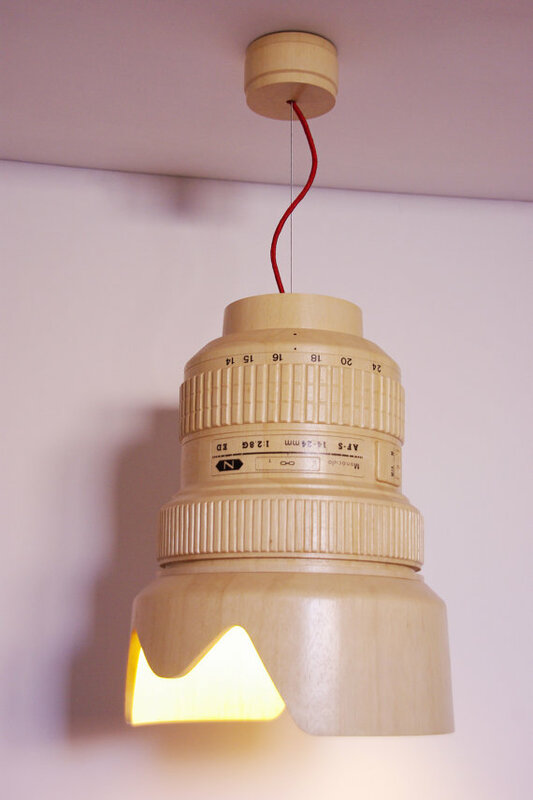 On the top it has a ceiling frame with a stainless steel cable and a red wrapped power cord.